Create a family heirloom! 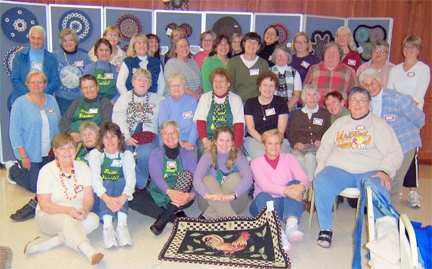 New England Braids is excited to announce a special weekend of rug braiding to be held at St. Basil’s Conference Center from Friday, October 22 through Sunday, October 24, 2010. This weekend of workshops is open to all levels, including those who have never tried rug braiding. The event will feature speaker Delsie Hoyt. Delsie is the fourth generation of women in her Northeast Kingdom family to braid woolen rugs. She was inspired by the complex artistry Great Grandmother Nettie drew out of this simple craft over a century ago. Despite her use of worn clothing and remnants, she created stunning overall patterns in her rugs, using the dyepot to express her sense of color. Her innovative pinwheel design breaks all rug-making conventions, and Delsie tries to carry forward that spirit of experimentation and playfulness in her own work. For more information about Delsie Hoyt visit Kingdom Moon Rugs. 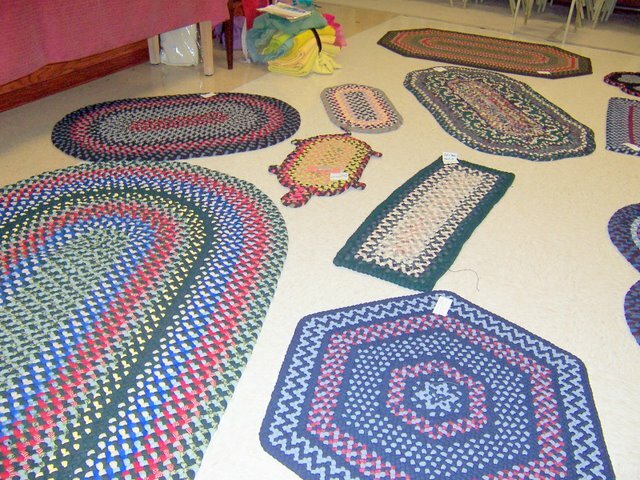 New England Braids teaches the basic techniques in making a traditional braided rug from planning to completion. Participants will be guided step-by-step through the process of making a braided rug from strips of wool fabric. Learn about types of materials, tools, and how to figure quantity of materials needed. Also covered are how to braid, starting the rug, lacing, following color patterns, adding new colors, tapering and butting the last rows. New England Braids at Methuen, MA will be held at St. Basil’s Conference Center, 30 East Street, Methuen, Massachusetts, October 22-24, 2010. This weekend is open to all levels of rug braiding abilities, including those with no experience. A fee of $225 includes: 2 nights lodging, dorm style, 6 meals, 3 days of Rug Braiding classes. For more information please call Carol Broadbent at 603-332-9038 or email carolbraids @ gmail .com.